Peggy A. Johnson, dean of the Schreyer Honors College and professor of civil and environmental engineering at Pennsylvania State University, has been selected for the Lifetime Achievement Award from the American Society of Civil Engineers’ Environmental and Water Resources Institute. The award is presented to members who are judged to have advanced the profession, exhibited technical competence, and significantly contributed to public service, research, or practice in the environmental and water resources profession. Dr. Johnson is a graduate of New Mexico State University where she majored in geology. She holds a master’s degree and Ph.D. both in civil engineering from the University of Maryland. 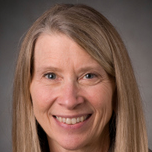 Amy Roth McDuffie, a mathematics professor and associate dean for research and external funding at the College of Education at Washington State University, has received the 2019 Outstanding Reviewer Award from the Association of Mathematics Teacher Educators. She is honored for providing exemplary feedback as part of blinded peer-review scholarly manuscripts for the journal Mathematics Teacher Educator. Dr. Roth McDuffie holds a bachelor’s degree in mathematics from Franklin and Marshall College in Lancaster, Pennsylvania, a master’s degree in technology for education from Johns Hopkins University in Baltimore, and a Ph.D. in mathematics education from the University of Maryland. 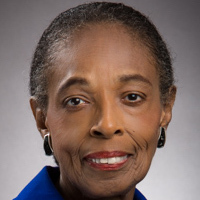 Joyce J. Fitzpatrick, the Elizabeth Brooks Ford Professor of Nursing at Case Western Reserve University in Cleveland, is the recipient of the 2019 International Achievement Award from the Florence Nightingale International Foundation and International Council of Nurses. The award is given to practicing nurses with at least 10 years of experience in a variety of fields. Dr. Fitzpatrick is honored for her significant contribution to nursing education. 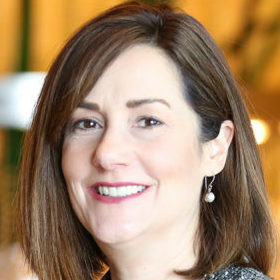 Dr. Fitzpatrick holds a bachelor’s degree in nursing from Georgetown University in Washington, D.C., an MBA in business management from Case Western Reserve University, a master’s degree in psychiatric-mental health nursing from Ohio State University, and a Ph.D. in nursing education from New York University.